The border itself is just this bridge – Sheik Hussein Bridge. First of all, let’s assume you’ve arrived at the city of Irbid in Jordan. This is a northern city with a population of just under a million people. 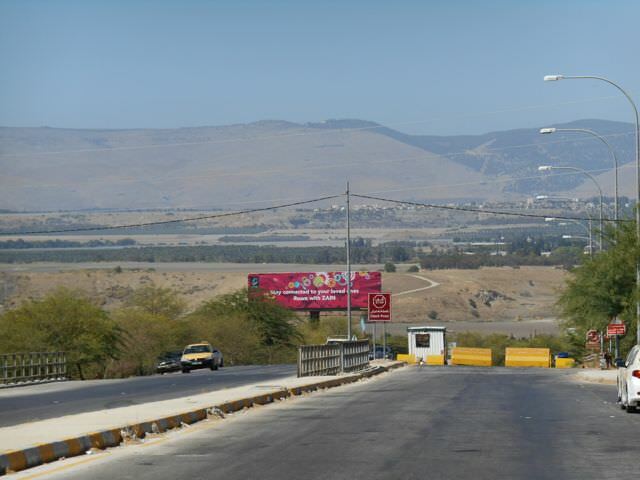 This is the city where most travellers heading to Israel via the northern border crossing in Jordan will end up. 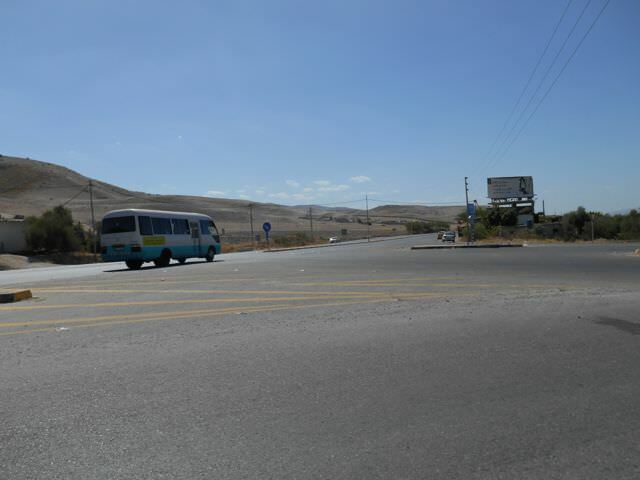 Irbid has a few bus stations and you can get buses between them for 25 Jordanian cents. We got a bus from the South Station in Irbid (having arrived there on another bus from Amman) to the West Station in Irbid. On a bus to Irbid in Jordan, from Amman. Ask around and the locals at the bus stations will help you out. You can also tell them you’re heading to Sheik Hussein Bridge, the border to Israel and they’ll all know what bus to take. The buses are mostly minibuses and payment is taken on board in cash. There is no storage on these buses for your backpack, put them in the aisles or take the front seat and set them in front of you. 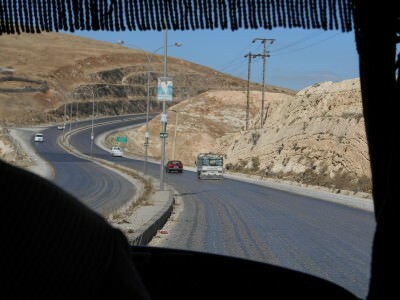 This bus to Irbid West should cost just 25 cents as mentioned. Backpacking in Irbid – changing buses from the south to the west station. Again this is a simple bus journey. The people working at Irbid West Bus Station will be able to point you in the direction of the bus to the border. It’s a blue and white minibus and leaves when it’s full. It costs 1 Jordanian Dinar (1JD). 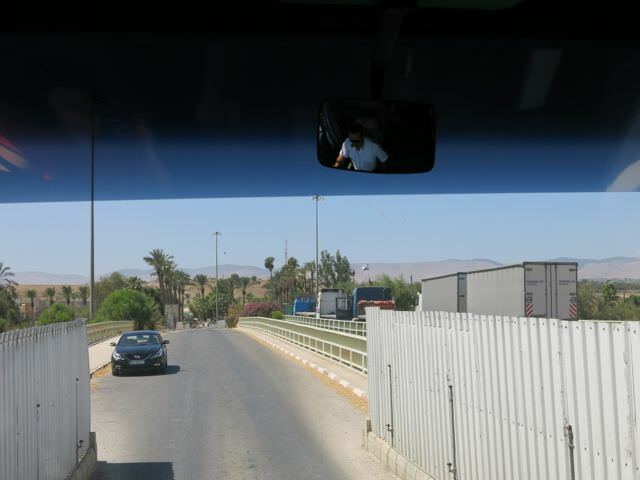 Boarding the bus in Irbid West heading towards the border. There aren’t really strict timetables on any of the buses mentioned in this post by the way – just turn up and you’ll be fine. No tickets, nothing booked in advance and no problems. The bus will take around 45 minutes. You pass by some great terrain and landscapes. 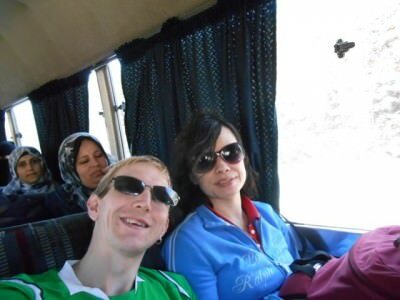 The only 2 tourists on the bus to the border crossing at Sheik Hussein, Jordan. 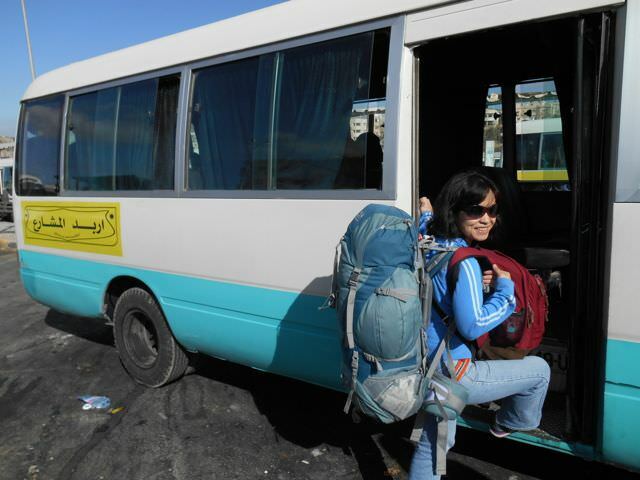 There are unlikely to be any other backpackers on your minibus, nor any other people heading to the border. Make sure you tell the driver you’re heading to the border. He will probably guess this if you’re backpacking it anyway! The driver will tell you to get out on a corner by the roadside. 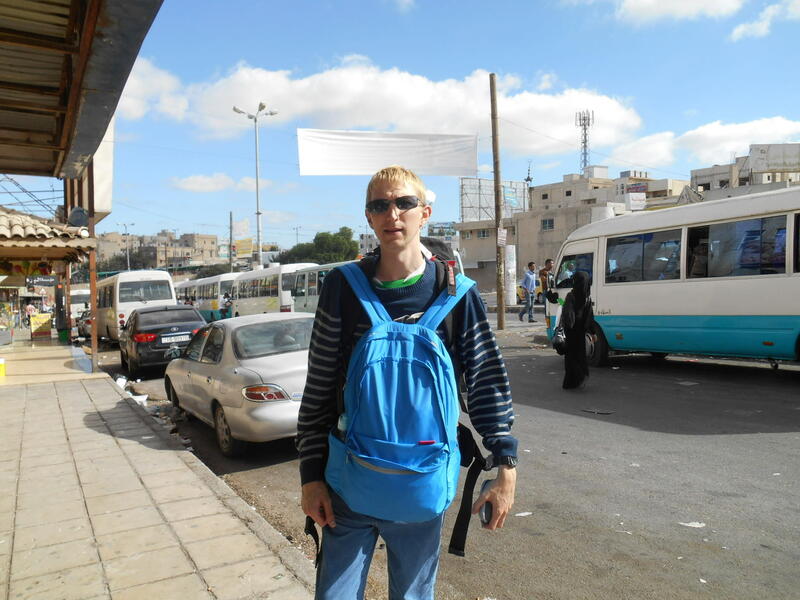 It’s everything you’d expect as a backpacker in the Middle East. From here it’s a 200 metre walk to the first border point. Our view from the bus from Irbid West to the place where we got off for the border. After getting off the bus, walk down the 200 metres to the checkpoint and on the right hand side guys will usher you into taxis. At first we ignored them, gathering we could save money and it would be free to walk across the border on foot. Where the bus dropped us off. 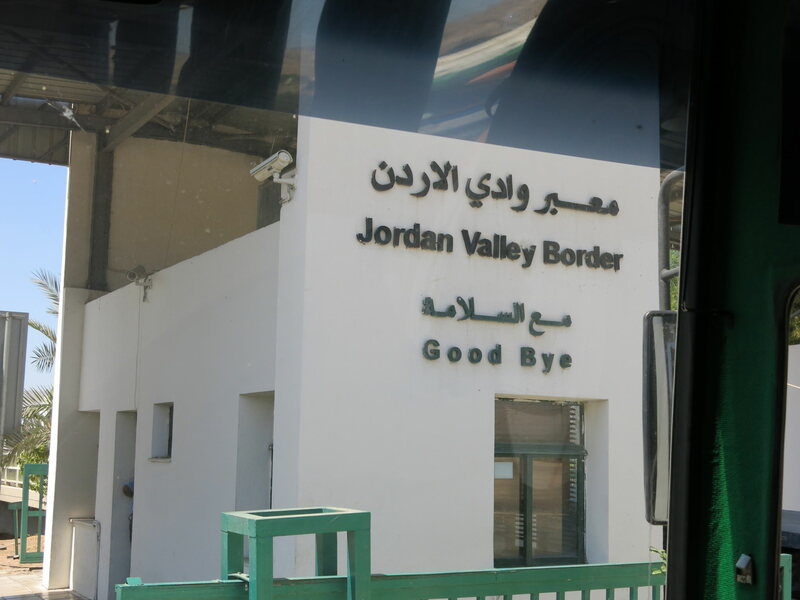 However the police at the checkpoint told us we could not cross the border by foot, so unless you’re really lucky, or things change, you’ll need to hop in a taxi down to the Jordan Immigration point!! 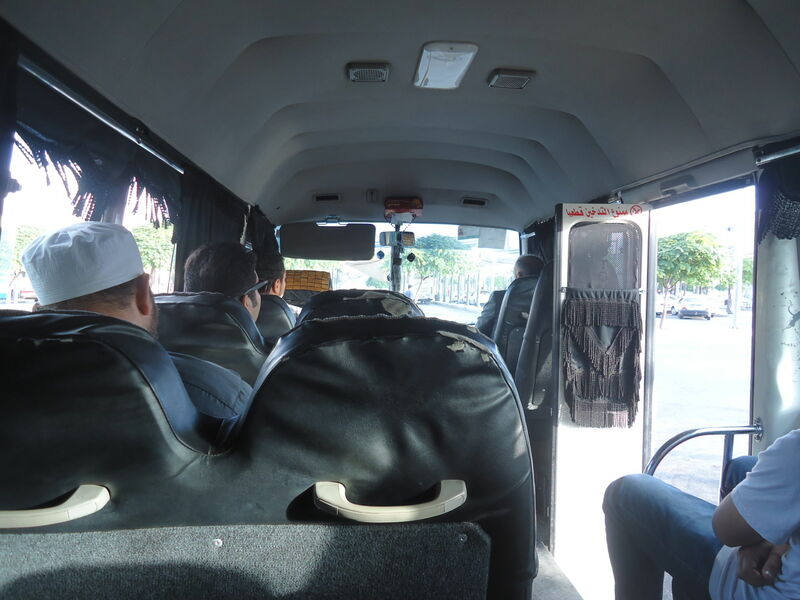 We paid 3 Jordanian Dinars between 2 for the taxi, so 1.5 JD each. If you share with 4 this will be cheaper. You can try bargaining but to be honest, it’s your only choice, you can’t walk and these taxi guys are the monopoly. Once inside the taxi, you’ll have your passport checked by the police at the first and second checkpoints. Just before the checkpoint where the police told us to get a taxi. They just look at you and your passport and let you go through. At the third checkpoint, you need to get out of the taxi with your bags. The bags are scanned and checked. All routine and basic. You get back in the taxi and head to the immigration office. The immigration office is at the end of an area with a shop, a bus ticket office and a duty free shop. As you have passed the bag search, you can buy anything you want here to take across the border as long as you stick to the Israeli import laws. First things first though – head to the immigration office, fill in your exit form and get your stamp to leave the country. But make sure you don’t get the stamp inside your passport. 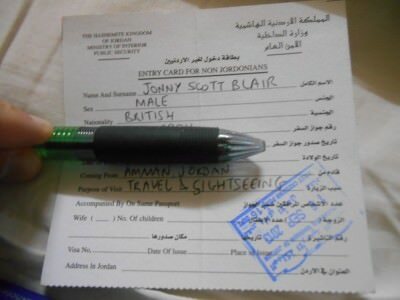 Passport and stamp on a separate page for the Jordan exit point at Sheik Hussein Bridge. Since you’re leaving Jordan at an exit point which means you can only be heading to Israel, you should ask for your Jordan exit stamp on a separate page, and not placed in your passport. 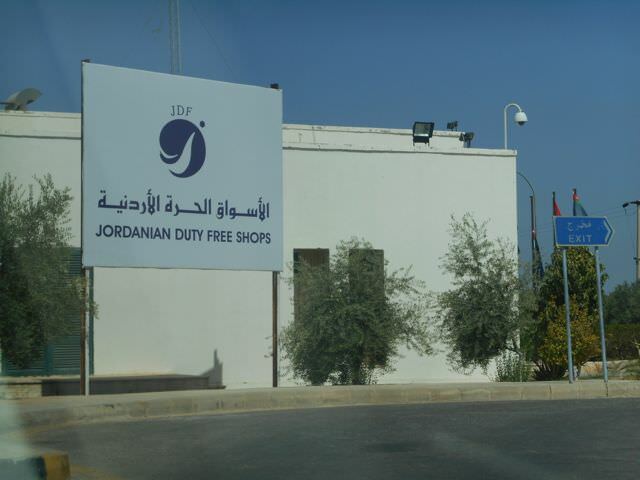 There are some Jordanian Duty Free shops on the border. 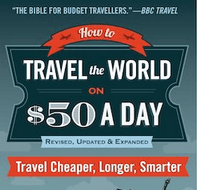 This will makes things a lot easier for you on your future travels. You probably won’t get into countries like Iran, Libya, Iraq etc. 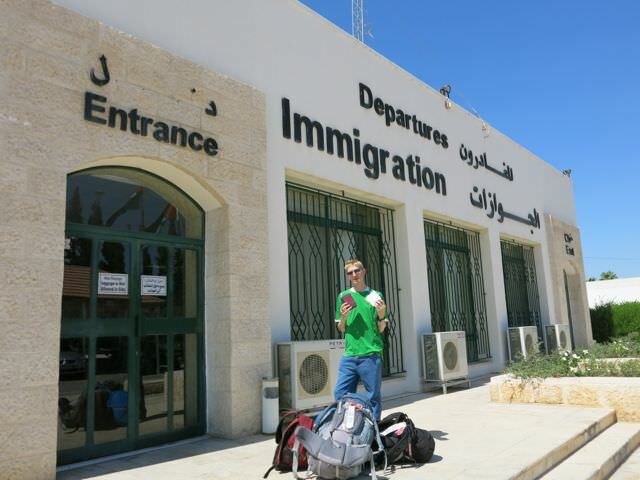 if you have a Jordan exit stamp that proves you went to Israel next. So just don’t get the stamp in the passport. The guards are used to this and will issue with a separate piece of paper. Then buy a ticket for the “bus to Israel” which is exactly what it is. You have your stamp – you have left Jordan to all intents and purposes. My Jordan Exit Stamp on a separate piece of paper – don’t get it in your passport. This is also your entry and exit card for Jordan. After immigration, buy a ticket for the border bus to Israel. This costs 1.6 Jordan Dinars. 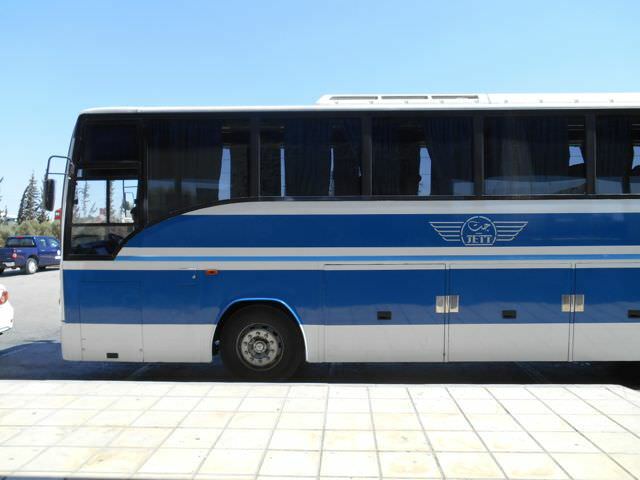 The bus that takes you from the Immigration Office in Jordan, across the bridge into Israel. In a matter of minutes you’ll arrive at the Jordan Bridge. This is also known as the Sheik Hussein Bridge and it links Jordan to Israel. It’s a very small bridge. World Borders: Jordan to Israel across the Sheik Hussein Bridge. 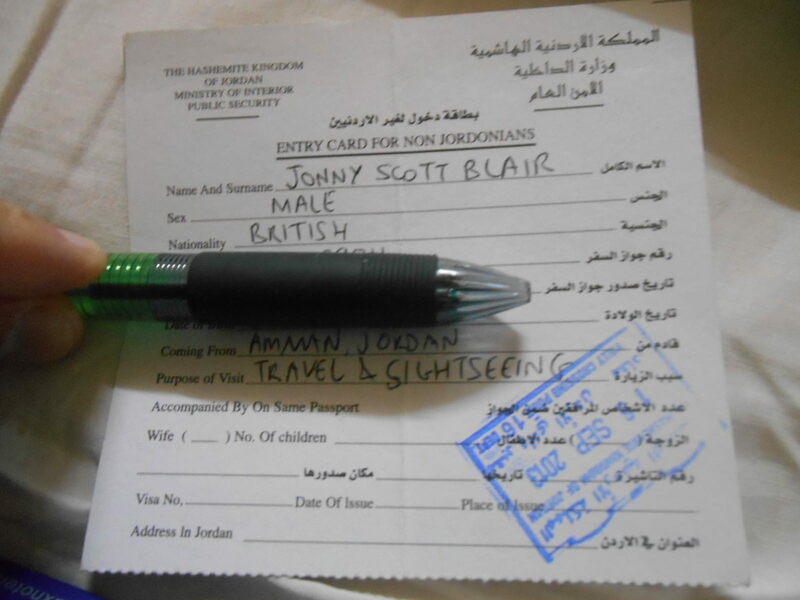 You might have your passport checked again by a Jordanian Police Officer who gets on the buss. In the distance you can see the Israeli flag flying, you cross the bridge and you are now in Israel. 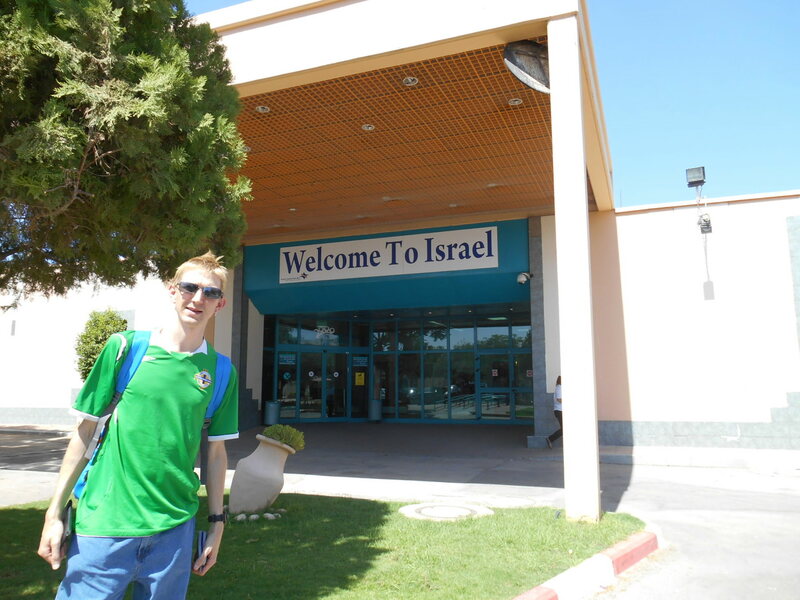 This is obvious due to the “Welcome to Israel” sign. 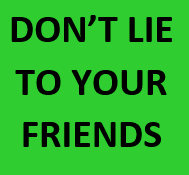 Before you get to filling in your forms, you will be asked questions like where you are staying, where you have been recently, how long you will stay etc. Then your bags will be checked and searched if need be. They opened our bags to check inside them, which was a pain as we had packed our stuff neatly. Arrival in Israel on the other side of the Sheik Hussein Bridge. Then you fill in your entry forms and head to the immigration desk. There is no visa and no payment required for citizens of most countries. 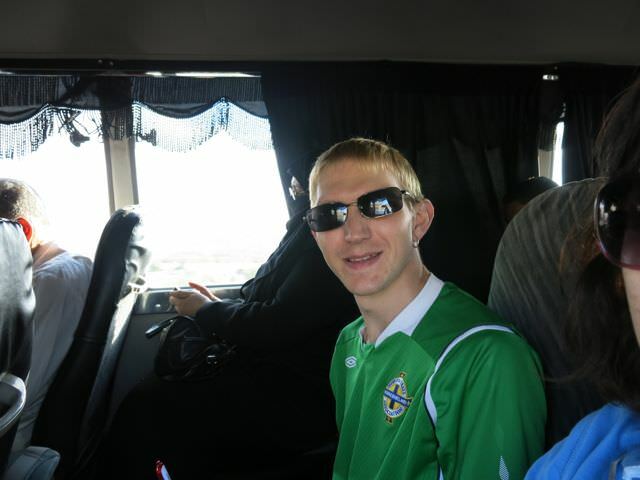 I was fine travelling on a UK and an Irish passport. No charge and a stamp will be valid for 3 months. They may ask you a few questions like “have you ever been to Libya/Syria?” etc. So it’s probably best to do Israel first before you head to those countries just in case they don’t let you in. 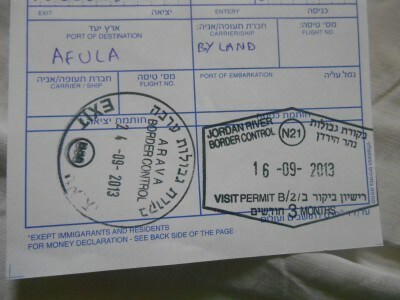 As with the Jordan exit stamp you’ll want the Israeli entrance stamp on a separate page, to prove you never actually went there. Again, the Israeli authorities are well aware of this and as a result will happily stamp on another page for you. Just make sure you keep the piece of paper they give you – you’ll need it to exit the country – where you will also probably want to exit without an actual stamp on your passport. 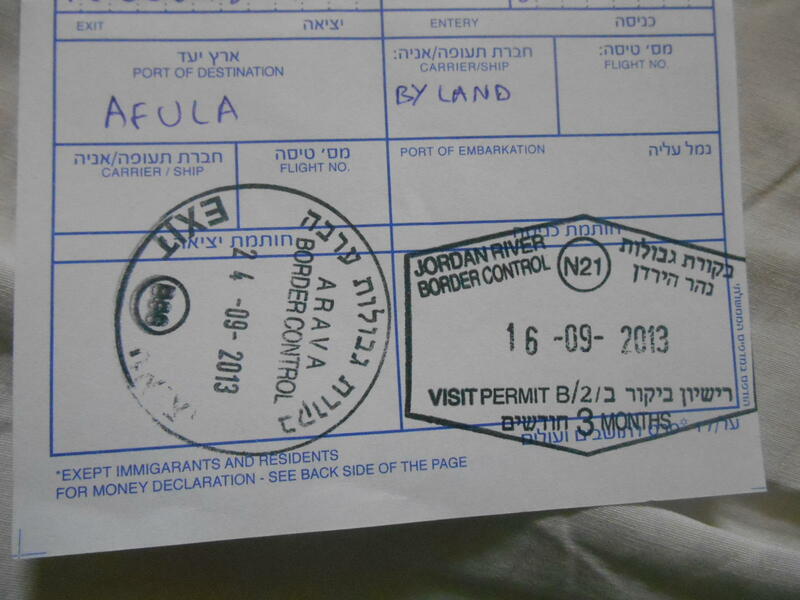 They put the stamp on a separate and now you are in Israel!! My Israel entry stamp (on the right) at the Jordan River entrance. 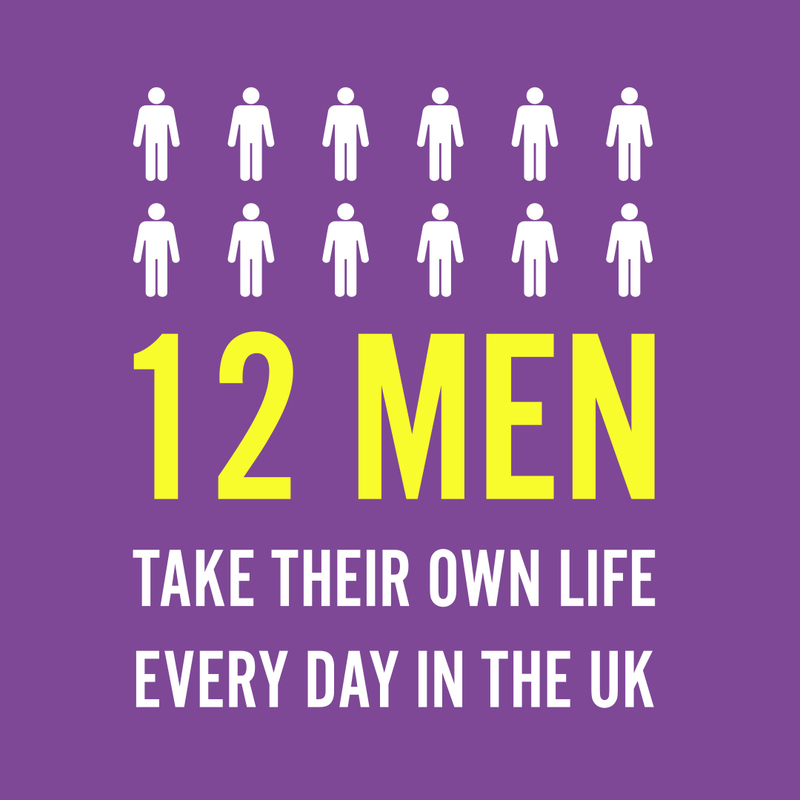 Make sure you get it on a separate page and NOT in your passport. We were getting picked up at the border by a friend so we didn’t have to worry about the onward connection. Most travellers will get a taxi (share one) to the nearest town which is Beit She’an, and from there you can get buses to other bigger towns and cities, or indeed you can stay in Beit She’an. You can get money changed at the border by the way. All in all this is a fairly smooth border crossing. Yes, not much hassle at all – just make sure you’re ready to avoid the stamps inside the passports! 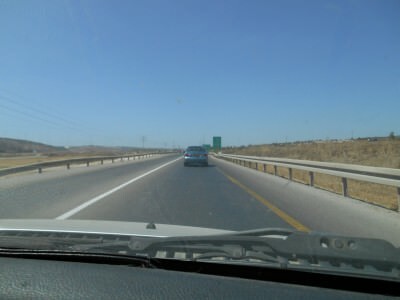 Driving from the border to Afula, Israel. This entry was posted in Central Asia/Middle East, Destinations, Irbid, Israel, Jordan, Sheik Hussein Bridge, World Borders. Bookmark the permalink. Any tips or tricks for the reverse of this. Getting from Beit She’an to Amman? I’d imagine I could stop in Irbid and then catch a bus but is there nothing direct? How would I get from the border to Irbid as cheaply as possible? Hoping any response you provide will assist myself and future travellers arriving at your fantastic site. Oh BTW, did you and J*u*uy Ward ever meet up? If so, you gotta send me your web link to check out those pictures. Dear Norman, thanks for the comment. 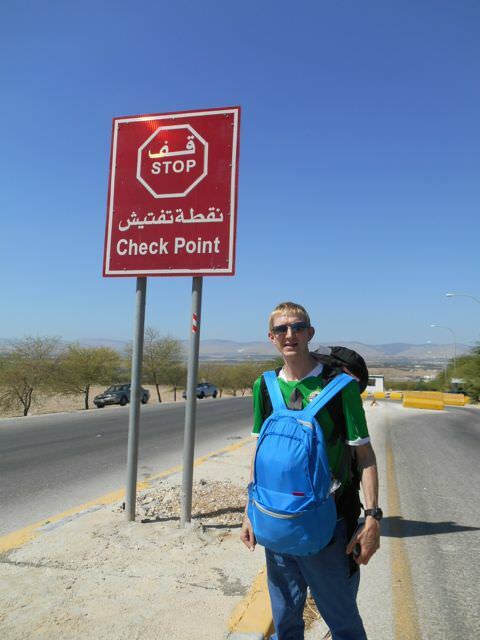 I only went on this border FROM Jordan to Israel, so I can’t help with info for the reverse, it was damn hot to backpack it though – I remember sweating a lot. To go the other way, I used Eilat – http://dontstopliving.net/world-borders-how-to-get-from-israel-to-jordan-yitzhak-rabin-wadi-araba-border-crossing/ . I don’t know who this Ward guy is though, sorry. I’m glad that you have visited my country and my city too, well as a Jordanian citizen I hugely recommend you to visit Petra next time which is located in southern Jordan, but I guarantee you that you will like it so much. Thanks for all the information above, I have never went that far but it will be nice to know what will happen if one day I decide to leave. Thanks again and safe travels for you.